Donald White DDS - Forms of payment and insurance! We also accept many types of insurance, cash, check, Visa and MasterCard as payment for service rendered. 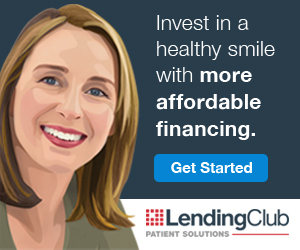 We also offer 'affordable' patient financing through the Lending Club Patient Financing. Below are listed some third-party dental insurance plans we participate. We may participate in others that are not listed. Call our office to find out more. Financing available for amounts starting as low as $500. Some options with 0% interest.